It sounds hard to believe, but so many people who want to switch banks decide not to because the process seems too complicated or expensive. In reality, though, switching banks can be much easier (and cheaper) than it’s made out to be. With the proper planning and patience, you should have no trouble switching to another bank without incurring any extra fees or headaches. By the time it’s all said and done, you’ll have gotten rid of those annoying fees at your old bank and signed up for a checking account that’s right for you. Here’s our quick guide on closing a bank account and switching banks. It’s important to know what you need from a new checking account instead of aimlessly switching to one. Maybe you’re frequently on the go and want to open an account with a bank that has branches all across the country. Or maybe you’ve been racking up monthly fees for dipping below the minimum balance and want a bank that does away with monthly minimum fees. Whatever the case may be, it’s important to recognize what your needs are and to find the account that’s best for you before doing anything else. For more information, take a look at this great article about the best checking accounts of 2018. Once you’ve picked the bank that’s right for you, it’s important to open your new checking account before doing anything with your old account. This way, you’ll make a seamless transition from one account to another, instead of having to spend any amount of time without a checking account. Before opening your new account, make sure that you have enough funds in your current checking account to satisfy the minimum balance on both accounts. As much as you might want to transfer all of your money into your new account immediately, keeping both accounts above the minimum balance means that you won’t have to pay any maintenance fees. When you go to your new bank to open an account, make sure to bring your checkbook with you, so that you can easily transfer funds from your old checking account. Today, so many of our finances are managed through automatic transactions that are scheduled on a weekly, monthly or annual basis. Take an hour or two to review your bank statements from the past 12 months, and make a list of every automatic transaction–from direct deposits to electricity bills–still associated with your old account. Once you’ve made this list, contact every business responsible for these transactions, and have them update your bank account information. It’s important to check at least the last twelve months of bank statements, since so many bills, like magazine subscriptions and credit card membership fees, are charged only once a year. If your employer pays you through direct deposit, make sure to have them change payments to your new bank account–bringing in a voided check for your new account should be all they need to make the switch. After you’ve updated all this information, it should take no more than three weeks for all of your automated transactions to switch over to your new account. Now that your automated transactions have been moved, you should put most (not all!) of your money into your new account. It’s generally a good idea to keep your old account open, just to confirm that every charge on the account has been finalized and each automated transaction has been transferred. As long as you keep both account balances above the minimum, this step won’t cost you a dime. After all that waiting, the time has finally come to close your old account! Go to your old bank and formally request to have your accounts closed. They’ll give you a check that’s good for the remaining balance on your account and send you on your way. Before leaving, though, make sure to request a written letter that confirms the closure of your account–this will help to protect you from the danger of a zombie account, which emerges when a company tries to withdraw from or deposit into a recently closed account. This is only a precaution, though–since you’ve already followed our steps and transferred all of your automated transactions to your new account, you should have no reason to worry about your previous account rising from the dead. Now that you’ve closed your old account and transferred your funds, you can start enjoying the benefits of your new bank. Be sure to store all of the paperwork related to the switch in a safe place: everything from your old bank statements to changes in your payment information, along with the letter confirming the closure of your old account could be essential resources if anything unexpected happens. If, somehow, your account does become a zombie account, having this paperwork could save you from having to pay hefty fees. 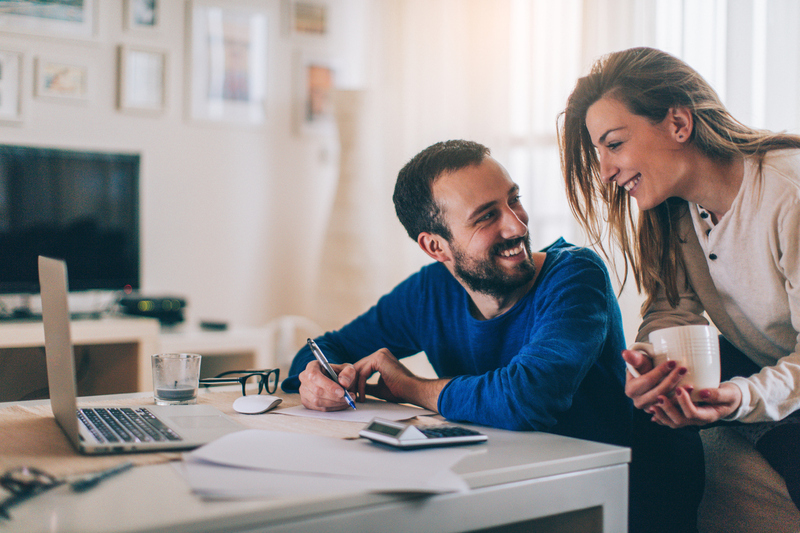 When you’ve started enjoying the major improvements that come with a better checking account, it might be time to start thinking about opening a savings account. If you’re not sure where to start, or wondering what type of savings account you should open, then you should check out our article about types of savings accounts, or this one, which tells you about the differences between a checking account and a savings account.